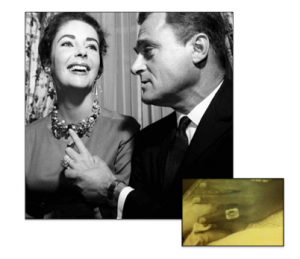 Engagement ring number three for Elizabeth Taylor from Michael Todd. Going back in time, we remember Elizabeth Taylor had this opportunity a few times. With husband number three, Michael Todd, Elizabeth Taylor received a stunning emerald cut diamond coming in at a hefty 30 carats. Her most famous engagement ring was the Taylor-Burton pear-shaped diamond at a whopping 69.42 carats. 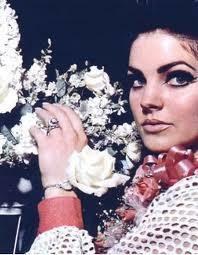 Priscilla Presley received a modes 3.5 carat diamond engagement ring that was surrounded by 21 smaller diamonds and diamond chips. More recently is Sharon Stone’s engagment ring of 3.5 carat emeral-cut diamond ring she received from Phil Bronstein. Catherine Zeta-Jones married the famous Michael Douglas. Her engagement ring was 10 carats with an antique marquise diamond estimated to be worth about $2 million. At Raymond Lee Jewelers, you can find your engagement ring among our vast inventory of pre-owned jewelry. 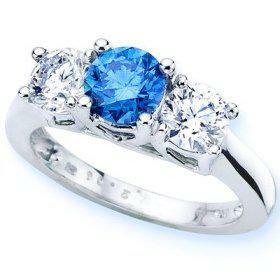 Receive a fantastic discount and save big on our selection where diamond engagement rings are waiting just for you!